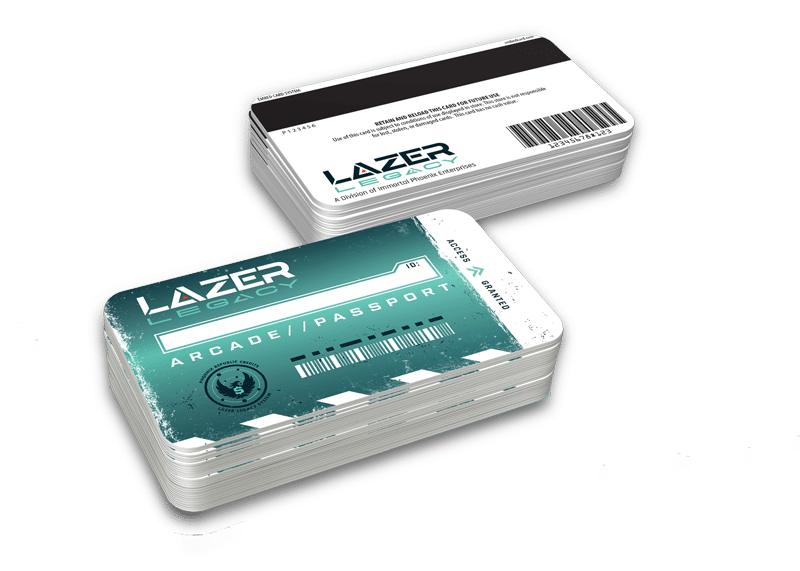 ***Lazer Legacy cannot accommodate private games during peak hours on Fridays, Saturdays, & Sundays. ***Age Limit: We recommend ages 4-6 play with parental supervision. Ages 7 and above will be fine to play on their own. We have had children as young as 2-3 play; however they may be scared of the arena’s sights and sounds. Arcade cards can be charged with any value. We recommend keeping track of your cards so that they can be recharged. Give us a call at (909) 790-7011 for our current specials! Choose your callsign (game name) and earn Legacy Points as you play. Spend points on upgrading and customizing weaponry for future games. 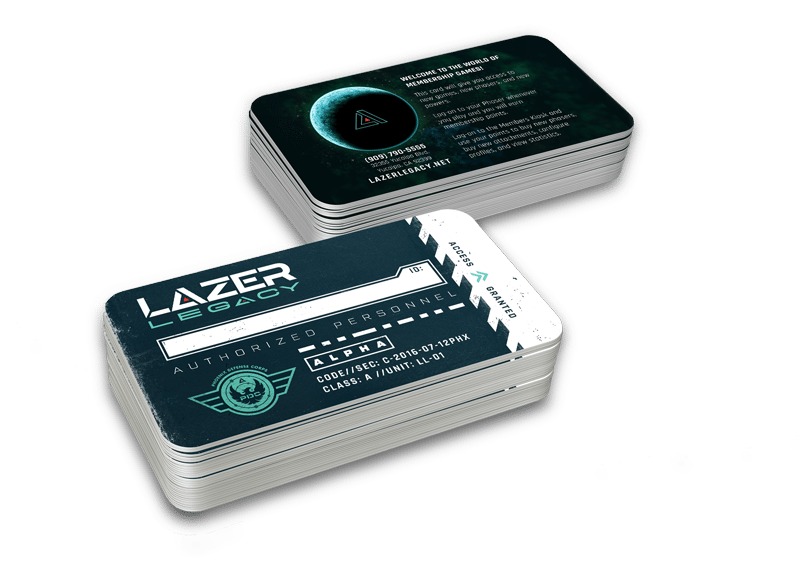 Players can track their stats, rank, and avatar page via membership kiosk at Lazer Legacy.